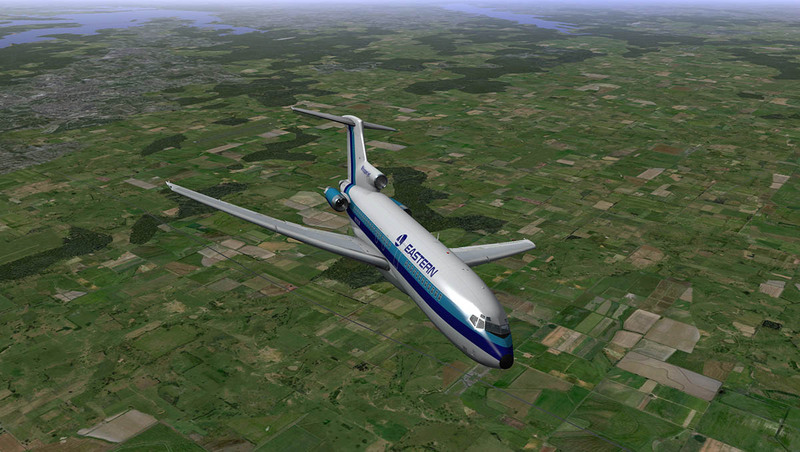 This is a two part series that profiles the Boeing 727 Series from FlyJSim. What is the difference between a profile and a review? 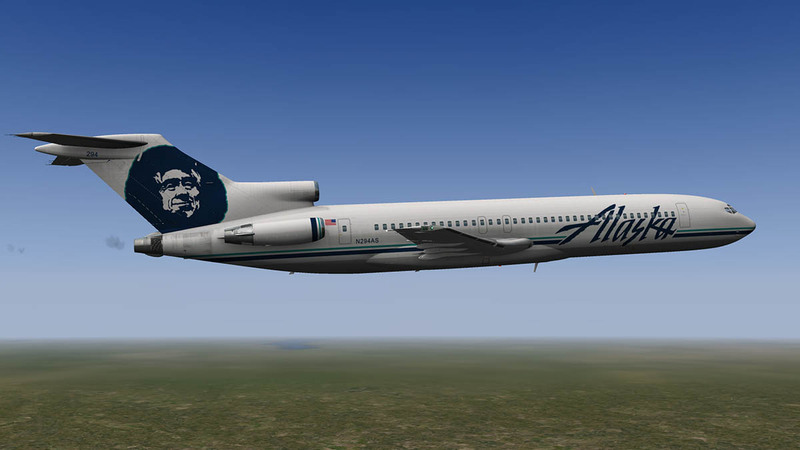 Not much really but with profiles we look at releases that have been released for a period of time and not just a recent release and are worth noting either with the changes to the aircraft and its current status. Why two posts? 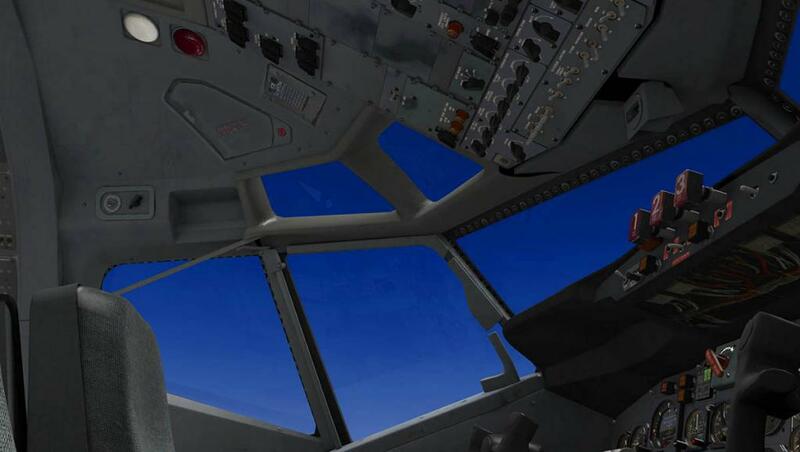 Each post will look at a totally different angle on the aircraft. 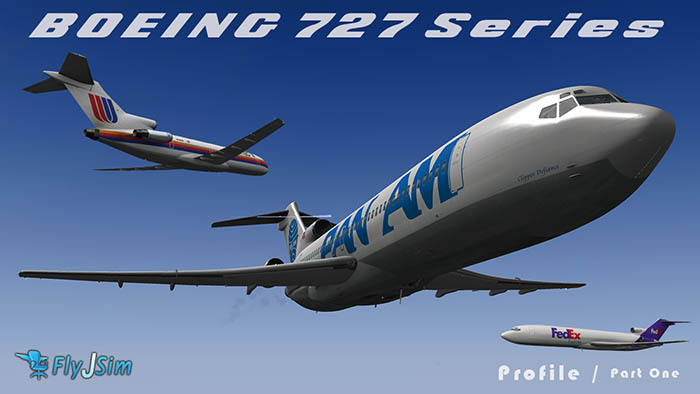 In this first post it is about the 727 Series and in the second post we will fly the aircraft from a point to point - departure to destination route and understand how the aircraft performs from a flight perspective. 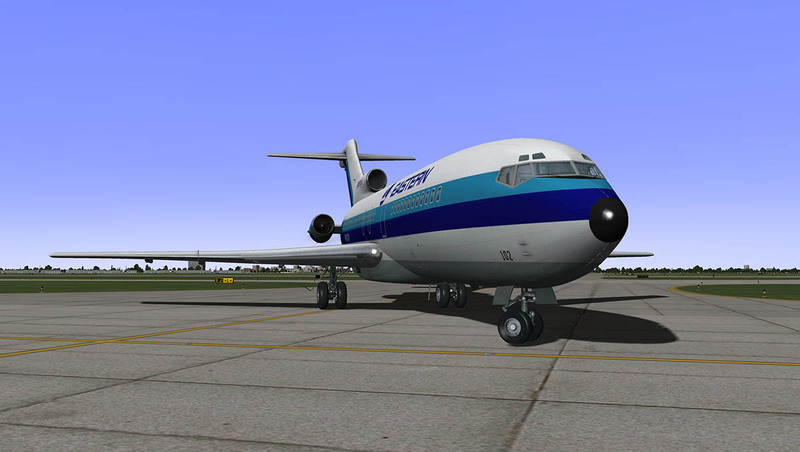 FlyJSim released its Boeing 727 Series just days before Christmas in 2012. It may seem a while ago now but in reality at this date that is just over a year ago. No doubt the release was immensely successful and certainly this aircraft series is one of the very best available in the X-Plane simulator. We can't really note on which aircraft is the very best. As we approach different aircraft for all our different needs. 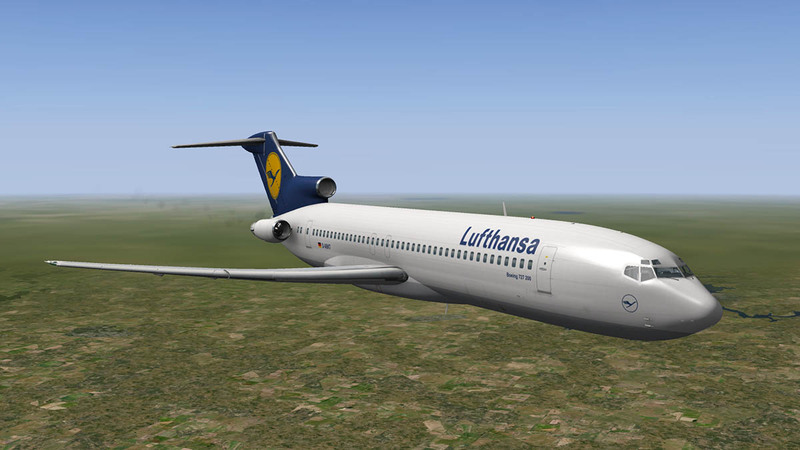 In saying that the B727 has to be in one of the higher positions of best top five available aircraft. From a pilots perspective it is a vastly different aircraft than most aircraft that we add to our collections. It is totally from another era. Some would say that was the "Golden Era" of early jet travel in the late 50's and 60's. 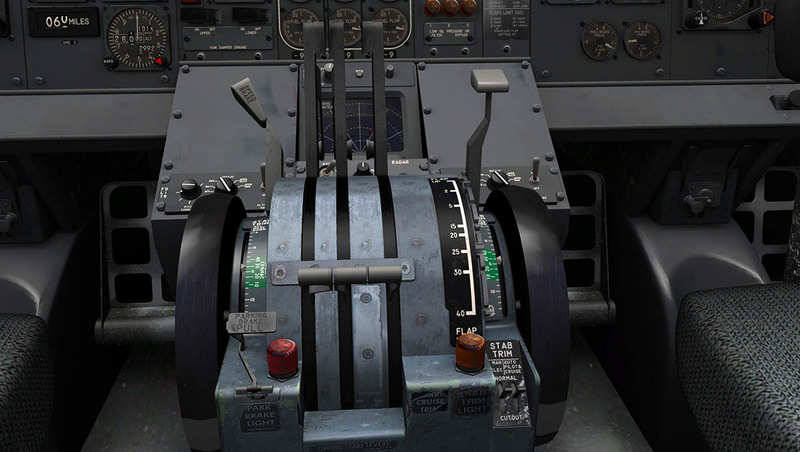 If you are used to flying modern glass cockpits over long distances, then Boeing 727 is as alien as you can get with very few support features in Navigation and Engine Management that are common in most aircraft today. 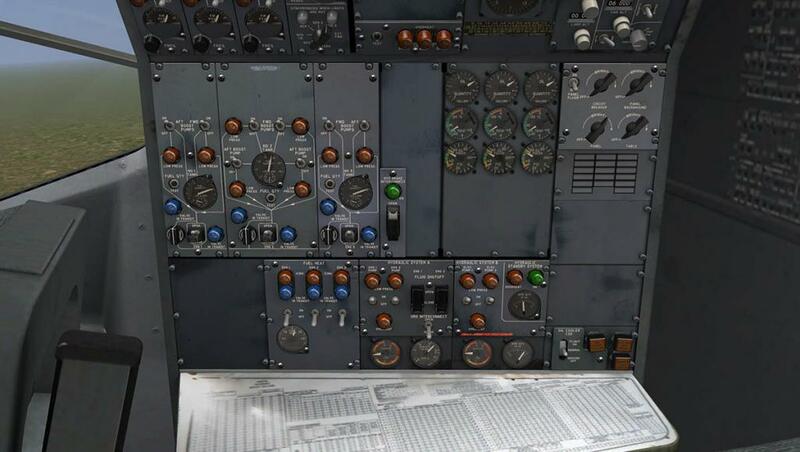 Your workload is going to be far higher in flying these 60's birds, but that is also the attraction in learning on how they did things back then. 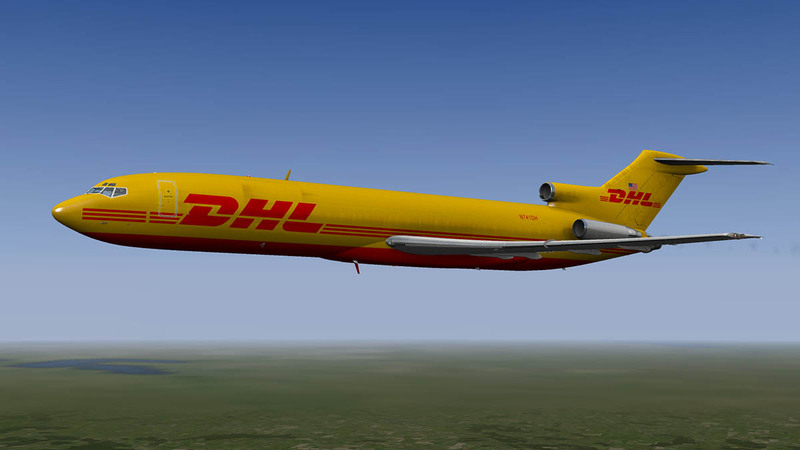 If anything the Boeing 727 is a time machine back to a period that has now almost disappeared. 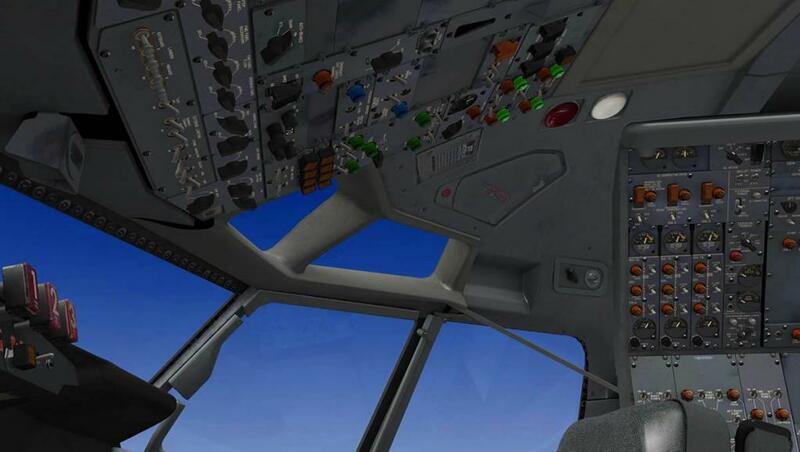 That is more so the attraction of using the aircraft in heightening your skills. 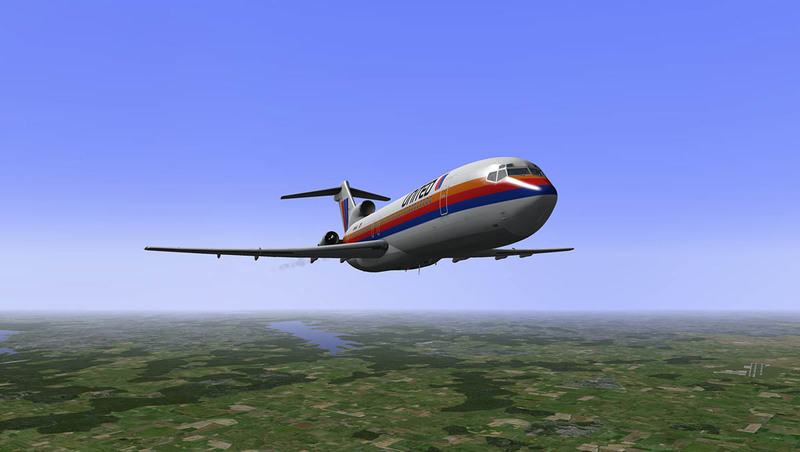 Fly the Boeing 727 over a period of time and you get very good at flying almost most heavy aircraft because it strides over many different areas in power, performance and weight. In its time it was a very high-performing airliner and that may seem quaint by today's standards. 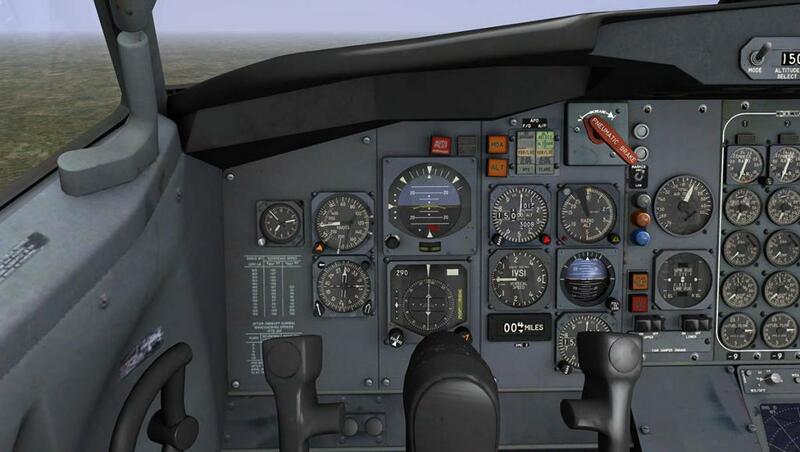 But get your skills right and the you can make this aircraft perform to a very high standard. 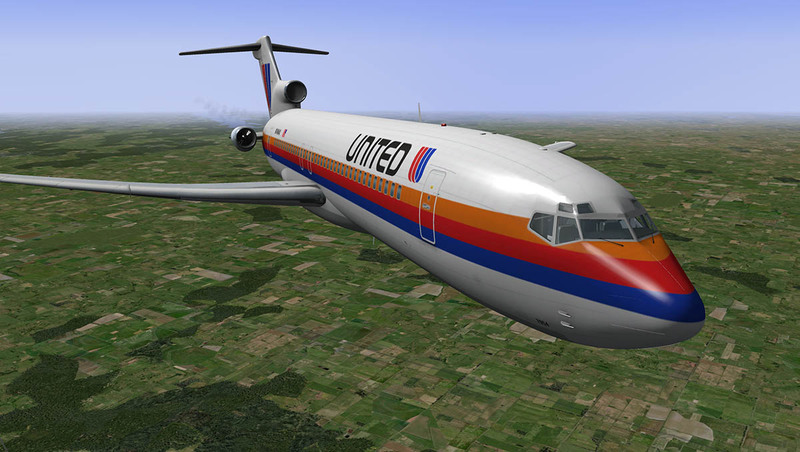 The Boeing 727 was a compromise in a design for United Airlines, American Airlines, and Eastern Air Lines requirements for a jet airliner to serve smaller cities with shorter runways and fewer passengers. The very successful Boeing 707 series was perfect for transcontinental and oceanic routes but simply too big for domestic services. The noted airlines had various reasons to wanted a very wide set of requirements, high altitude (United), efficiency (American) and over-water operations (Eastern). The 1960's created other requirements as well, because back then many airports at a destination point where very basic in their facilities. The new aircraft then above everything else had to be also totally independent of any ground services. A final major requirement was that these same airports usually had very short runways. So any design had to take this into account. The full list was a very high order, But Boeing did cover almost every one of these requirements by producing a very different type of of aircraft. 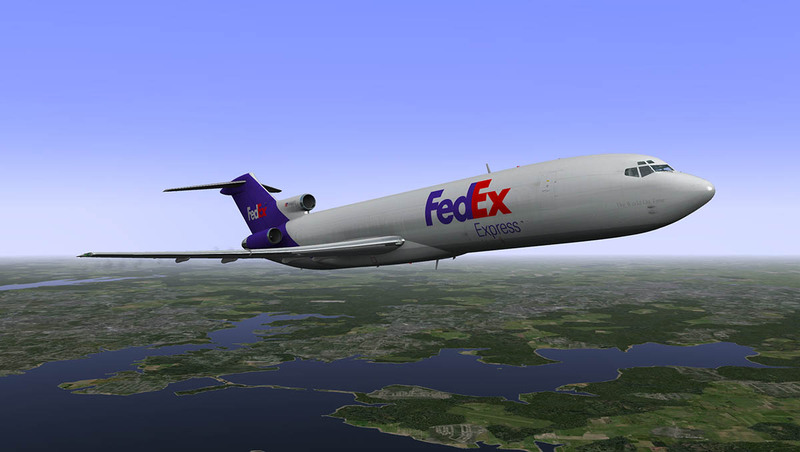 The Boeing 727 is highly distinctive because of its three engines and a high T-Tail design. The middle engine (engine 2) at the very rear of the fuselage gets air from an inlet ahead of the vertical fin through an S-shaped duct.This S-duct proved to be troublesome in that flow distortion in the duct induced a surge in the center-line engine on the take-off of the first flight of the 727-100. This was fixed by the addition of several large vortex generators in the inside of the first bend of the duct. The set up of the S-Duct allowed also for a built in Air-Stair under the rear of the fuselage to allow embarkation and boarding at distant destinations. The aircraft had a built in APU (Auxiliary Power Unit) which is mounted in a hole in the keel beam web in the main landing gear bay. 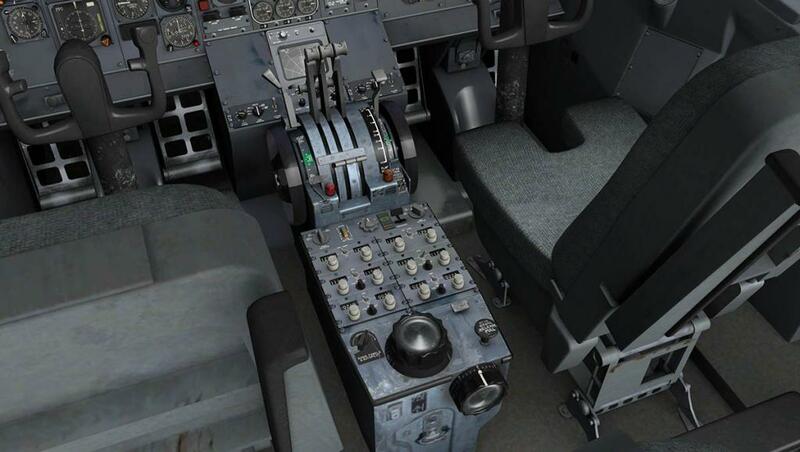 This allows the aircraft to have power for electrical and air-conditioning and not to have the main engines running while sitting on the ground, the APU is also used to restart the engines. 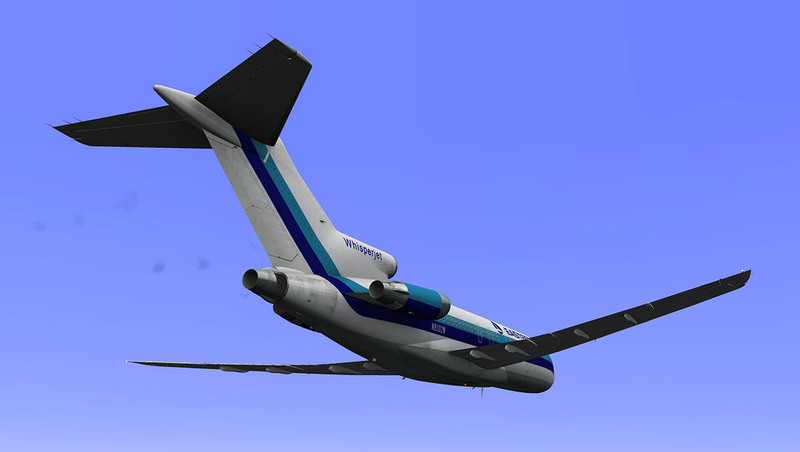 To be able to use the required shorter runways the Boeing 727 has a unique wing design. With no wing-mounted engines, leading-edge devices (Krueger, or hinged, flaps on the inner wing and extendable leading edge slats out to the wingtip) and trailing-edge lift enhancement equipment (triple-slotted, aft-moving flaps) could be used on the entire wing. Together these high-lift devices produced a maximum wing lift coefficient of 3.0 (based on the flap-retracted wing area). 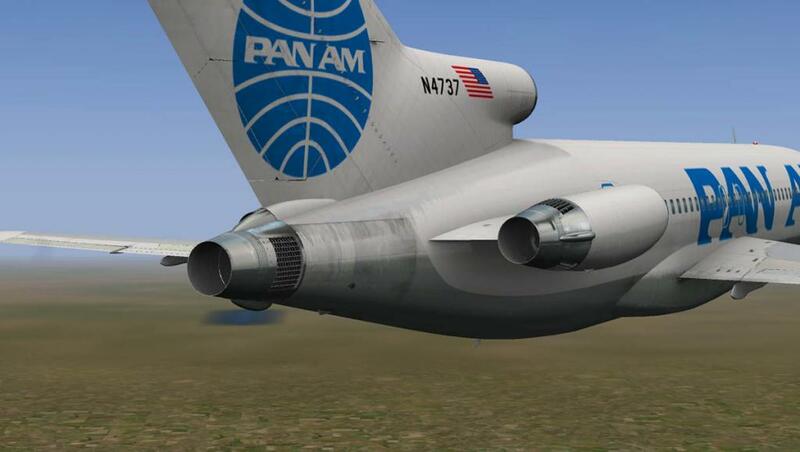 The 727 was stable at very low speeds compared to other early jets, but some domestic carriers learned after review of various accidents that the 40-degree flaps setting could result in a higher-than-desired sink rate or a stall on final approach (The T-Tail effect). 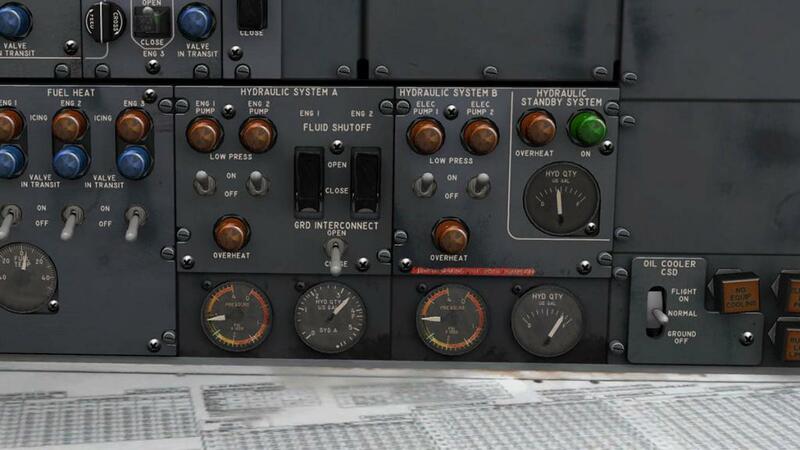 So these carriers' Pilots' Operation Handbooks disallowed using more than 30 degrees of flaps on the 727 and even going so far as installing plates on the flap slot to prevent selection of more than 30 degrees of flaps. Another short runway feature was that nose wheel brakes were available as an option to reduce braking distance on landing and which provided reductions in braking distances of up to 150m. 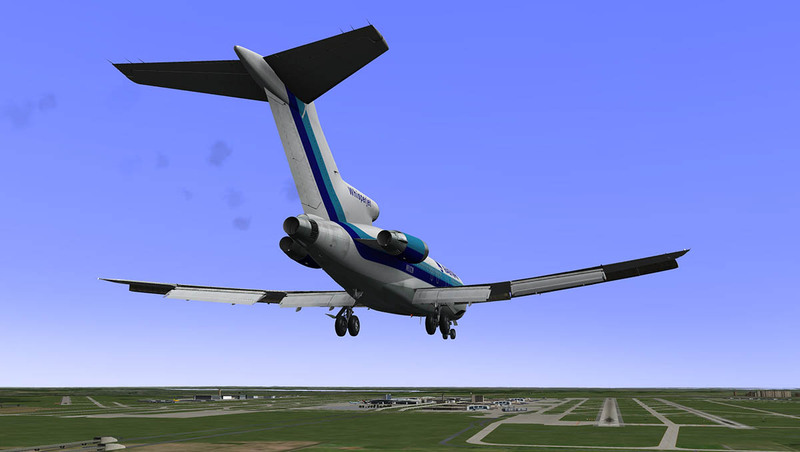 Another feature was the 727 is equipped with a retractable tail skid that is designed to protect the aircraft in the event of an over-rotation on takeoff. 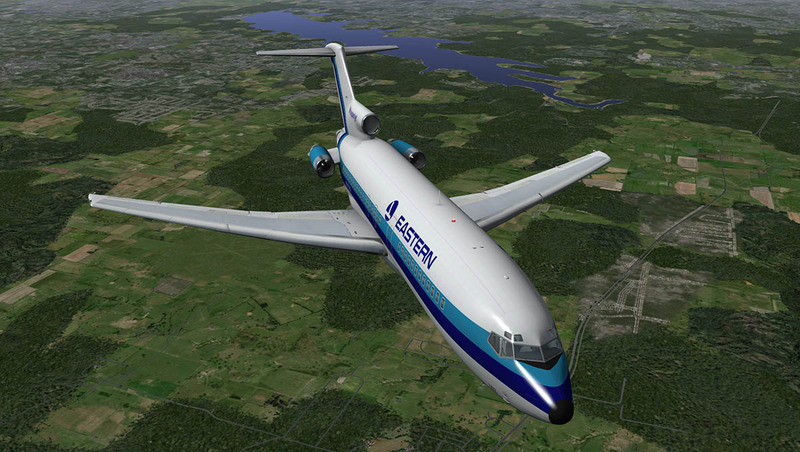 The prototype 727-00 first flew on February 9, 1963 and FAA type approval was awarded on December 24 of that year. 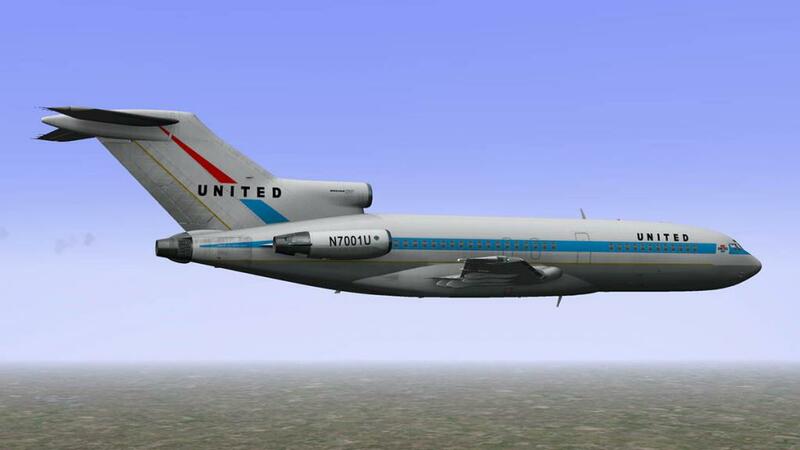 The first initial delivery to United Airlines of a Series -100 was on October 29 1963, to allow pilot training to commence. The first 727 passenger service was flown by Eastern Air Lines on February 1 1964, The aircraft was powered by a Pratt & Whitney JT8D is a low-bypass (0.96 to 1) turbofan engine, introduced by Pratt & Whitney in February 1963 on the inaugural flight of Boeing's 727 which was between Miami, Florida to Washington, D.C., and then to Philadelphia, Pennsylvania. It was a modification of the Pratt & Whitney J52 turbojet engine. 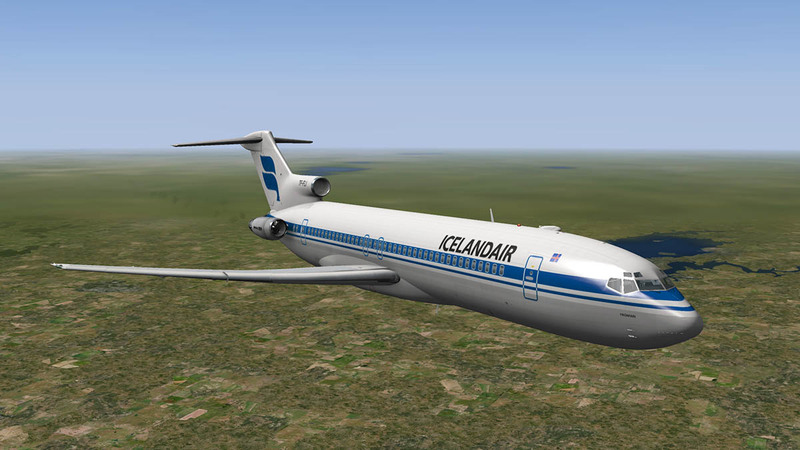 The 727 was initially going to be powered by three Allison AR963 turbofan engines, which are the license-built versions of the Rolls-Royce RB163 Spey used by the Trident. 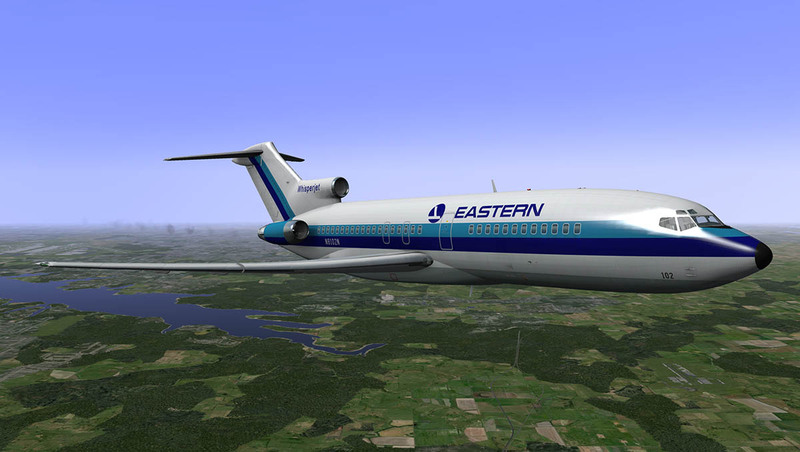 However Eddie Rickenbacker, Chairman of the Board of Eastern, told Boeing that the airline preferred the JT8D for its 727s. Boeing had not offered the JT8D as it was about 1,000 lbs heavier than the RB163, though it is slightly more powerful. 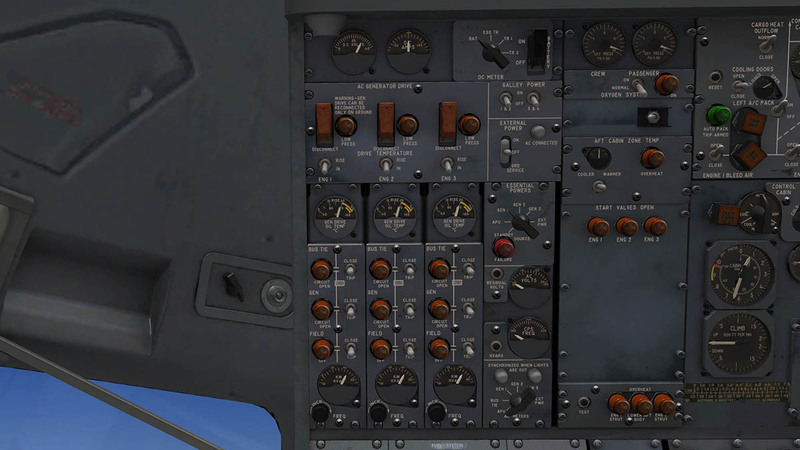 And the JT8D soon became the sole engine available. Each Pratt & Whitney JT8D-1 produces 14,000 lbf (62 kN) thrust each to carry an MTW 170,000 lb (77,000 kg) (empty 80,602 lb (36,560 kg)) over a range of 2,300 nmi (4,300 km). Max speed is Mach 0.9 with a service ceiling of 36,100 ft (11,000 m). A total of 572 727-00/100 series aircraft were delivered (408 -100s, 53 -100Cs, and 111 -100QCs), the last one rolled off the production line in October 1972. 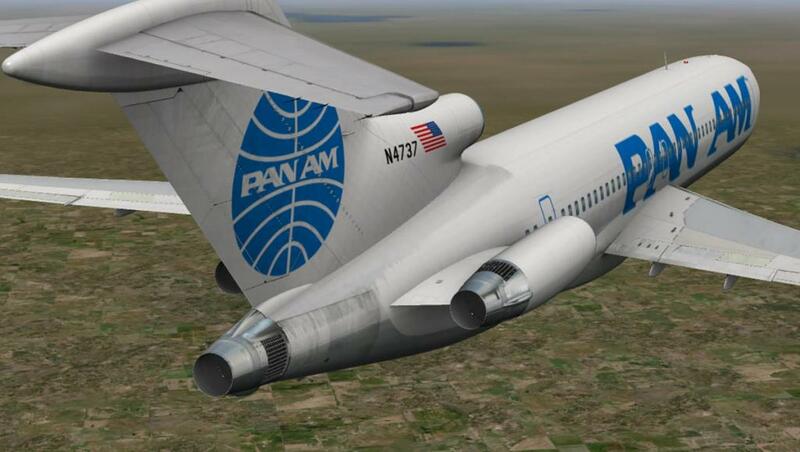 The 727 followed the 707 quad-jet airliner of with the same upper fuselage cross-section. 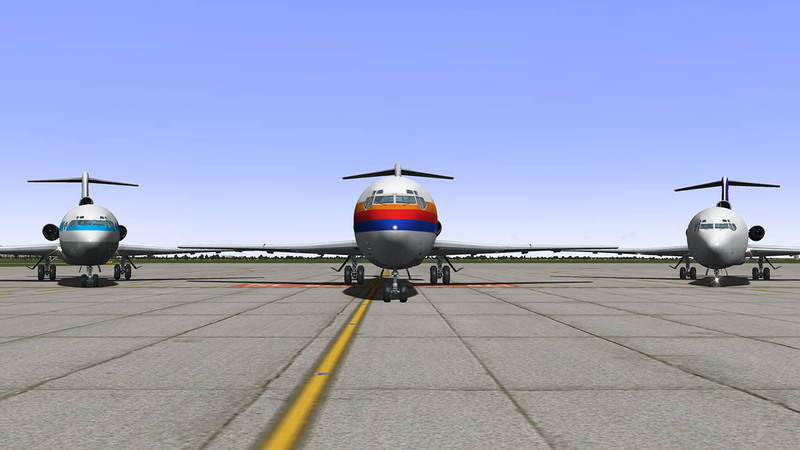 The 727's fuselage has an outer diameter of 148 inches (3.8 m). This allows six-abreast seating (three per side) and a single aisle when 18 inches (46 cm) wide coach-class seats are installed. And could carry 149 passengers in one-class or 131 passengers in two-classes. 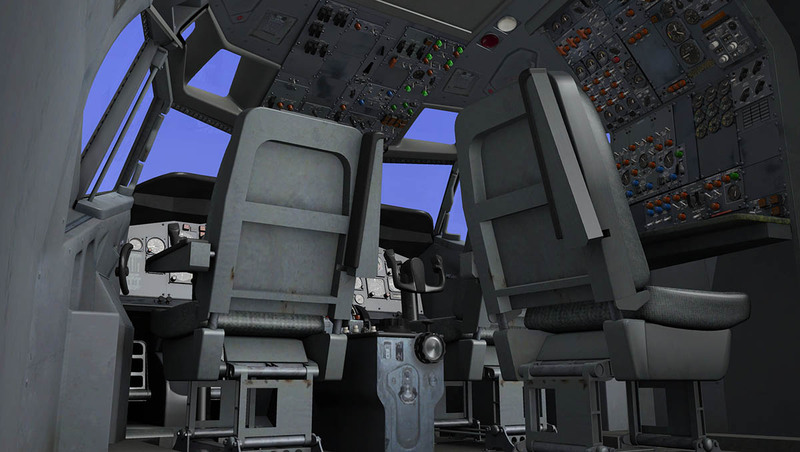 The Cockpit layout is the same as the Boeing 707 as well, But adapted for the three engine design. 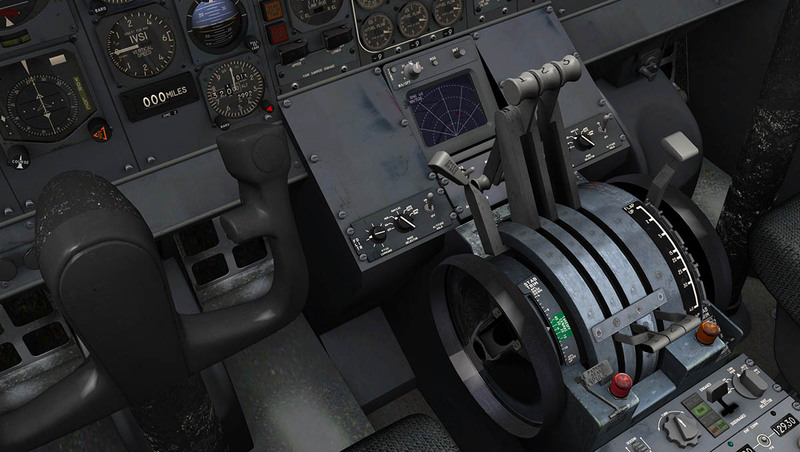 The Cockpit design work by FlyJSim is here simply exceptional. You certainly feel the Retro 1960's vibe and clockwork instruments. To note the detailing closely just admire the work on the throttle quadrant. It looks like it has all been honed from real metal. The levers clunk and click beautifully as well. 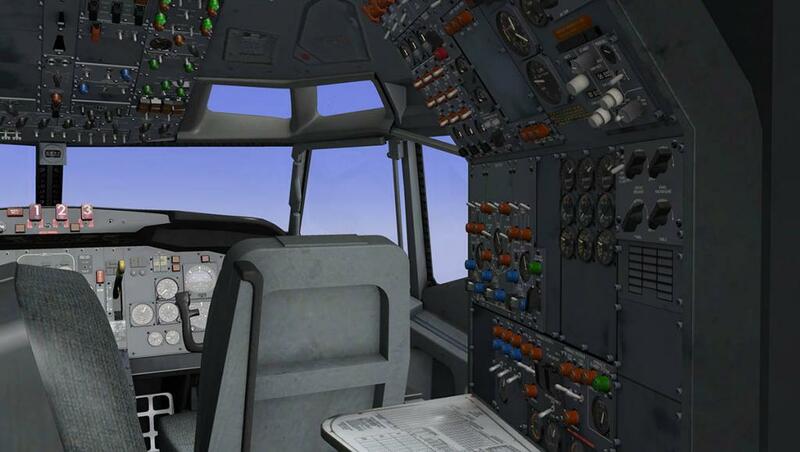 The aircraft is also different from today's cockpits in that it has a flight engineers station FE situated behind the Co-Pilots seat. The items located here are now usually positioned on the Overhead Panel. 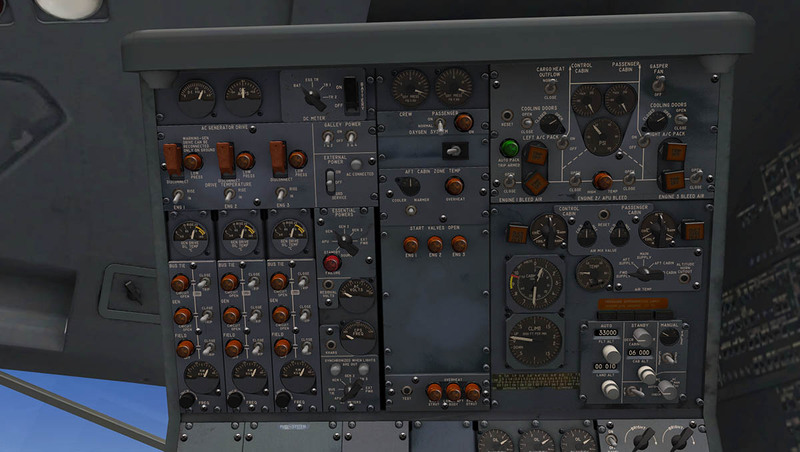 So it is odd to see the upper OH panel in the B727 so empty. It looks very complicated on the engineers panels as well, but it isn't. 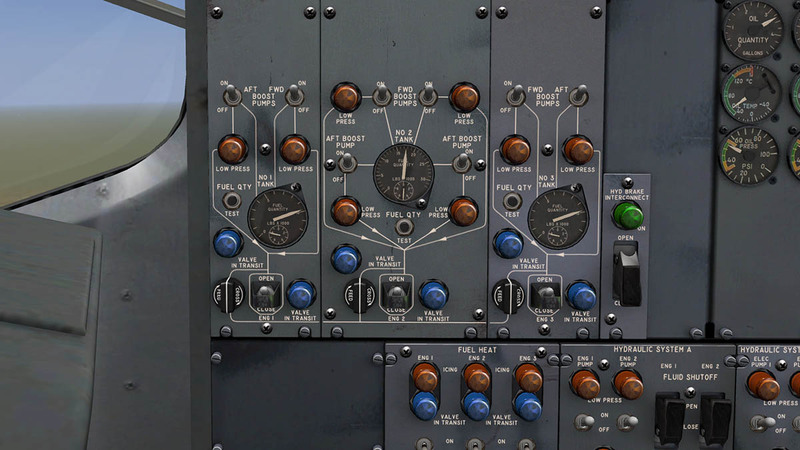 Situated on top of the panel is the Electrical and DC/AC dials (left) and Air-Conditioning (right). The Air-Con is also your "Bleed" panel to start the engines. 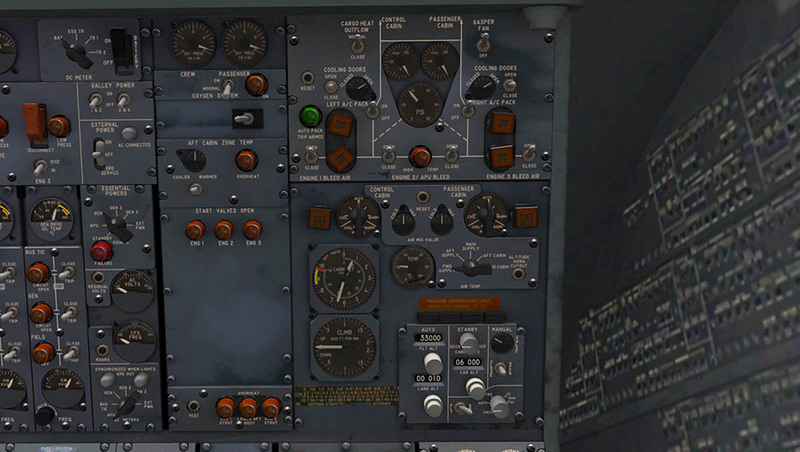 Fuel panel (Left) and systems oil temperatures (right) with the FE panel-lighting rotating knobs and warning lights. Fuel heat (left) and hydraulic systems are across the bottom of the panel. 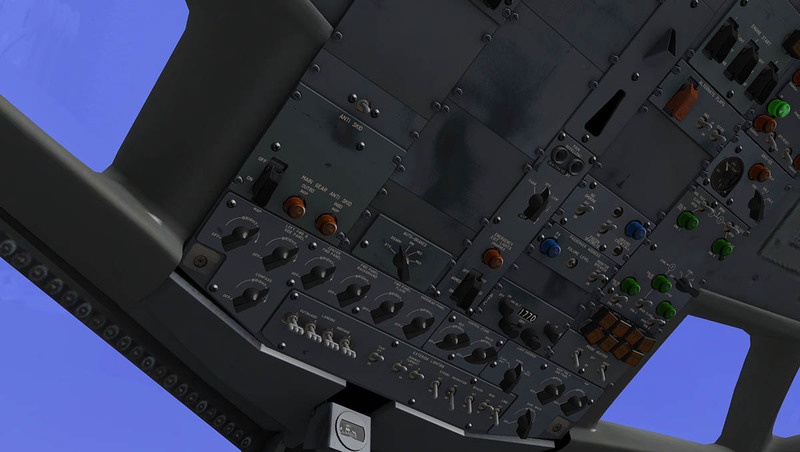 On the rear bulkhead is the APU switches and Fuel Dump Valves. Detailing is completed by the overhead windows and central overhead panel. 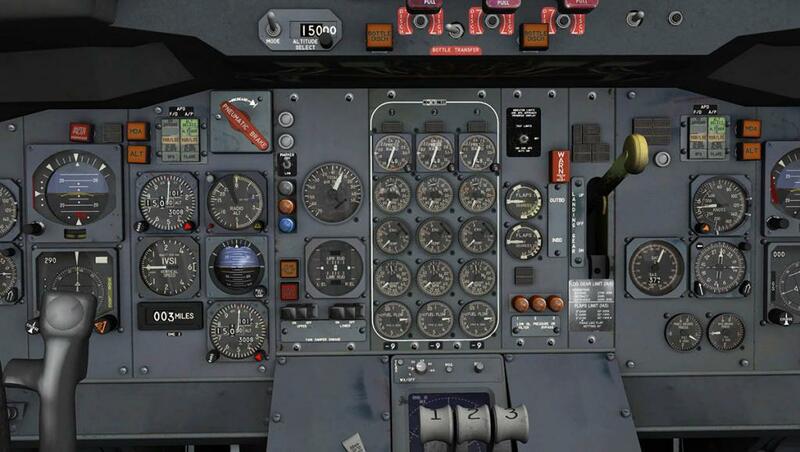 We will cover the flight instruments and the main panel in the second preview of the B727 as we use them. Liveries with the -100 version are: Eastern (default), American and United. It is known fact that if you give airlines something really good and the very best you can offer. You can absolutely guarantee that it is still not good enough and they will still want something even better. No matter how good the Boeing Series -100 was, it wasn't long before they were all moaning again in wanting a longer range and more space to put more revenue paying passengers inside the aircraft. 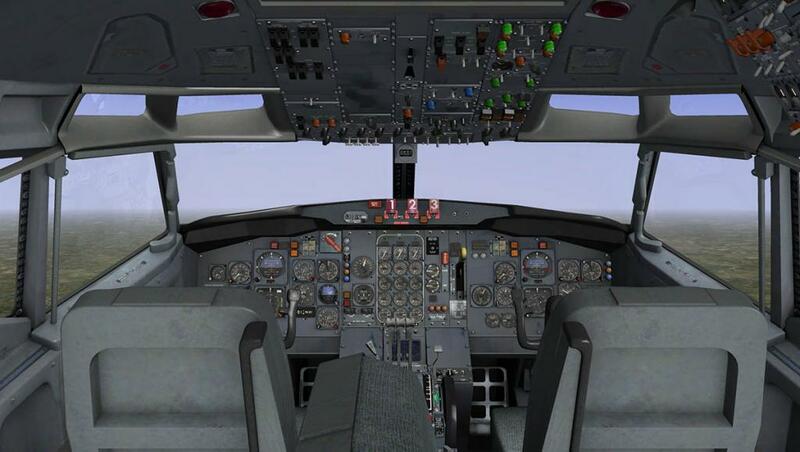 Out of these requirements came the Boeing 727-200. 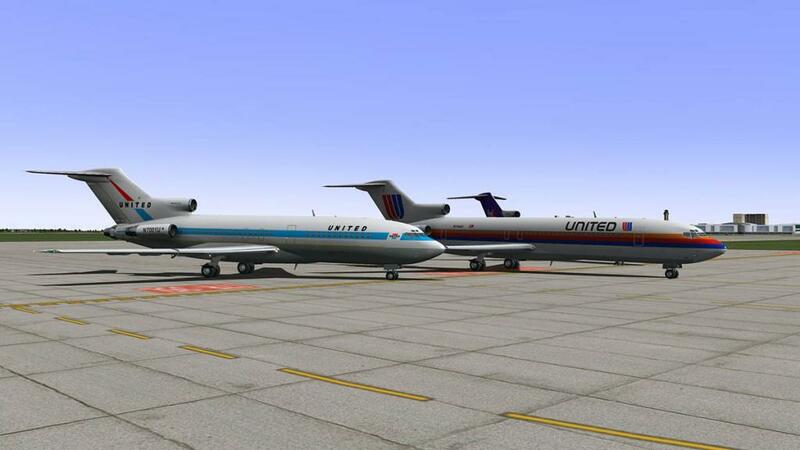 The stretched version of the 727-100 became the 727-200, which is 20 feet (6.1m) longer than the −100. A ten-foot (3-meter) fuselage section ("plug") was added in front of the wings and another ten-foot fuselage section was added behind them. The wing span and height remain the same on both the −100 and −200 (108 feet (33 m) and 34 feet (10m), respectively). 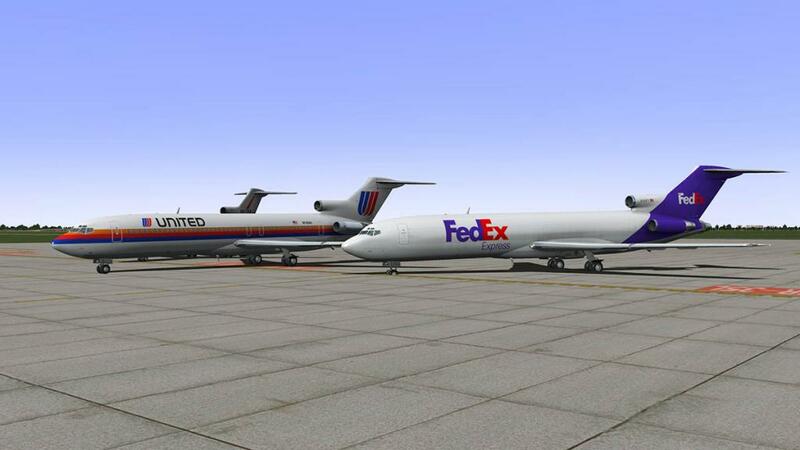 The original 727-200 had the same max gross weight as the 727-100. The MTW became 184,800 lb (83,800 kg) but the range was decreased to 1,700 nmi (3,100 km). At that short range the aircraft then evolved quickly as a series of higher gross weights and more powerful engines was introduced along with other improvements, and then from line number 881 727-200s where then dubbed −200 Advanced (Adv). The aircraft gross weight eventually increased from 169,000 to 209,500 pounds (76,700 to 95,000 kg) for the latest versions. 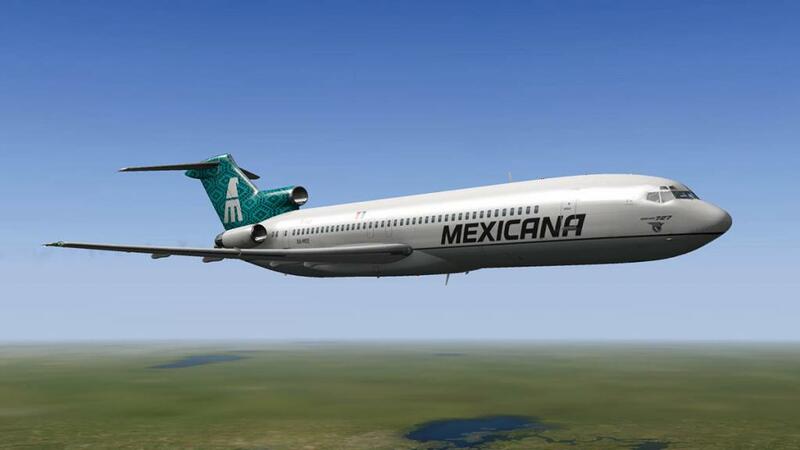 The range increased slightly to 1,900 nmi (3,500 km) (Standard) but if you loaded the aircraft carefully you could get 2,600 nmi (4,800 km) (Optional) range with 189 passengers (one-class) and 145 passengers (two-class) with a higher Cargo capacity which was the same for the standard -200 version. Ceiling was increased to 42,000 ft (13,000 m). 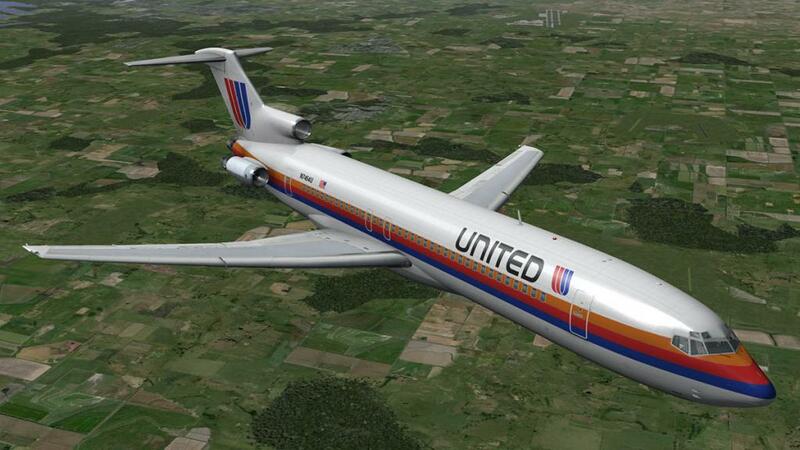 The first 727-200 flew on July 27, 1967 and received FAA certification on November 30, 1967. 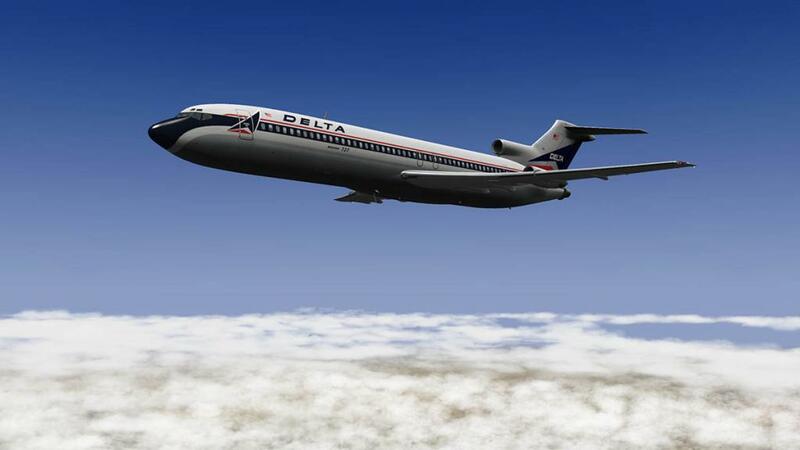 The first delivery was made on December 14, 1967 to Northeast Airlines. A total of 310 727-200s were delivered before giving way to the 727-200Adv in 1972. 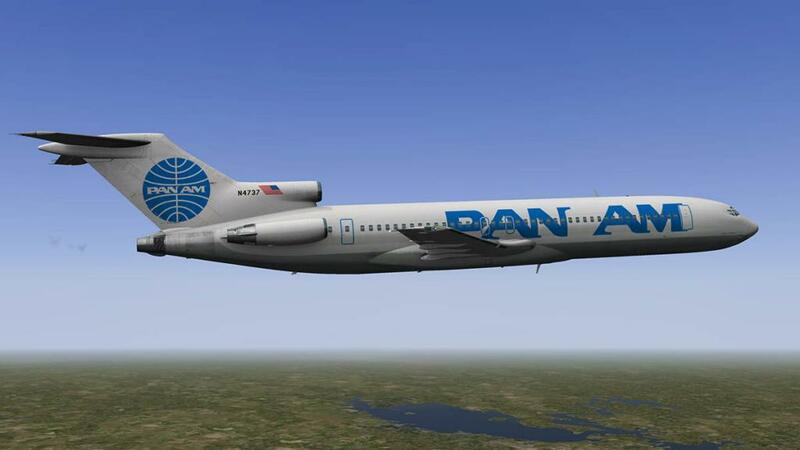 Liveries with the -200Adv version are: PanAm (default), PAS (Smile) and Alaska. A freighter version of the 727-200 Advanced became available in 1981 was designated the Series -200F Advanced and powered by the Pratt & Whitney JT8D-17A engines. The F (Freighter) version featured a strengthened fuselage structure, an 11 ft 2 inch by 7 ft 2 inch forward main deck freight door and a windowless cabin. 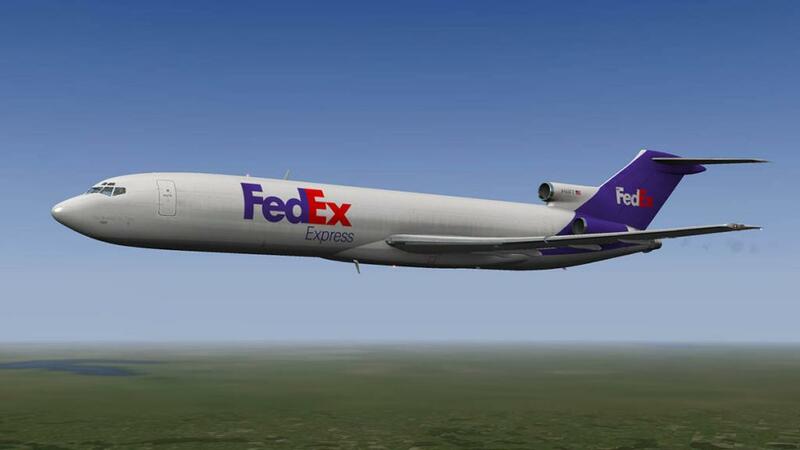 This was the last production variant of the 727 to be developed by Boeing and 15 aircraft were built, and all for Federal Express. 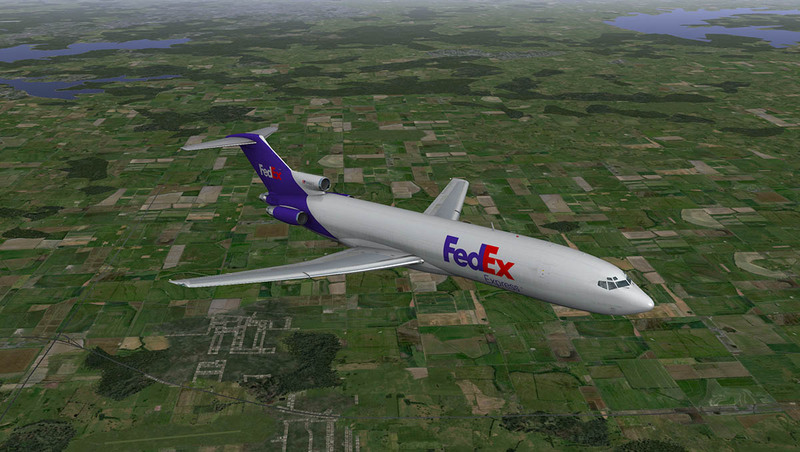 The last 727 aircraft to be completed by Boeing was the Series 200F Advanced for Federal Express in 1984. 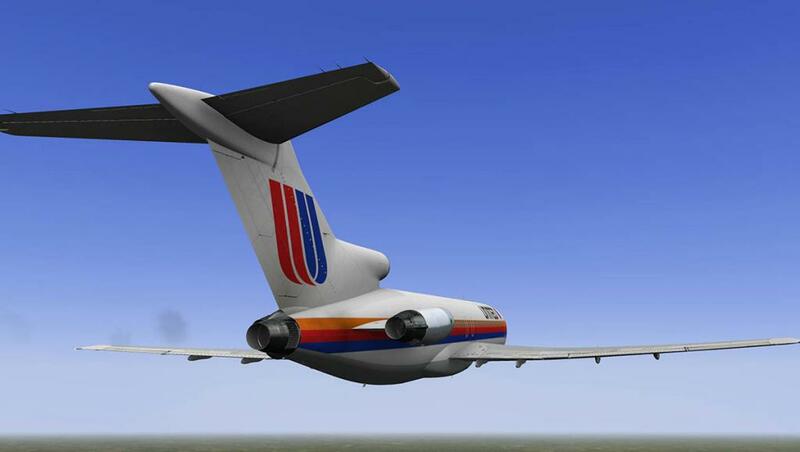 In all the total Boeing 727's built was 1,832. Although only fifteen Freighters were actually built. Many Series -200Adv passenger versions were converted to -200F's. 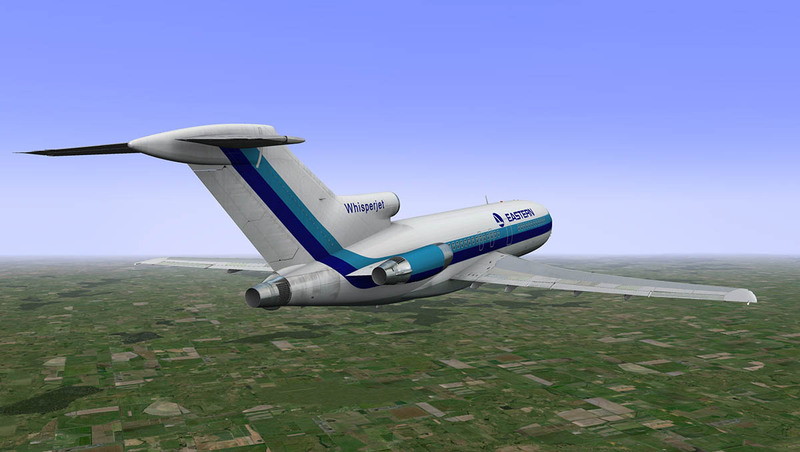 The 727 is one of the noisiest commercial jetliners in service and was categorized as Stage 2 by the U.S. Noise Control Act of 1972, which mandated the gradual introduction of quieter Stage 3 aircraft. Current regulations require that a 727 in commercial service must be retrofitted with a hush kit to reduce engine noise to Stage 3 levels. All current flying -200F's are stage 3 except for some flying in parts of Africa. 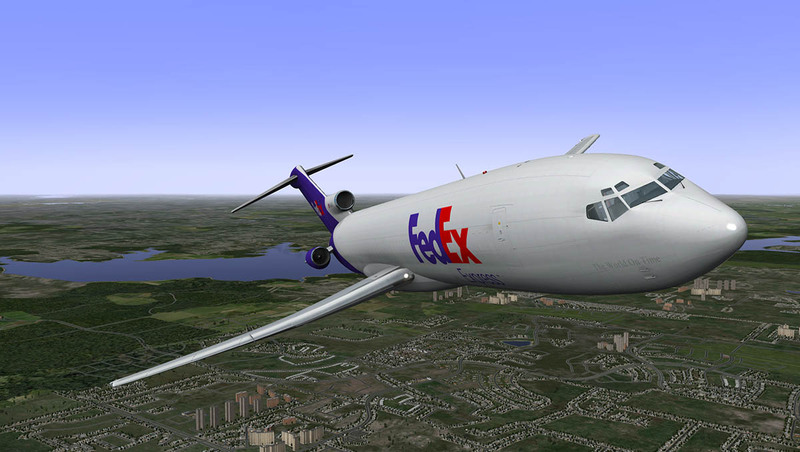 Liveries with the -200F version are: FedEx (default), DHL and Kelowna Flightcraft. 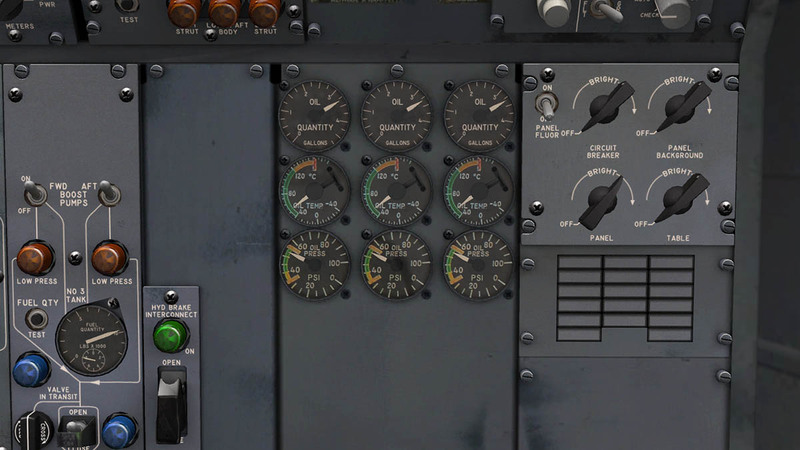 You can buy the CIVA (Delco Carousel IV-A Inertial Navigation System. 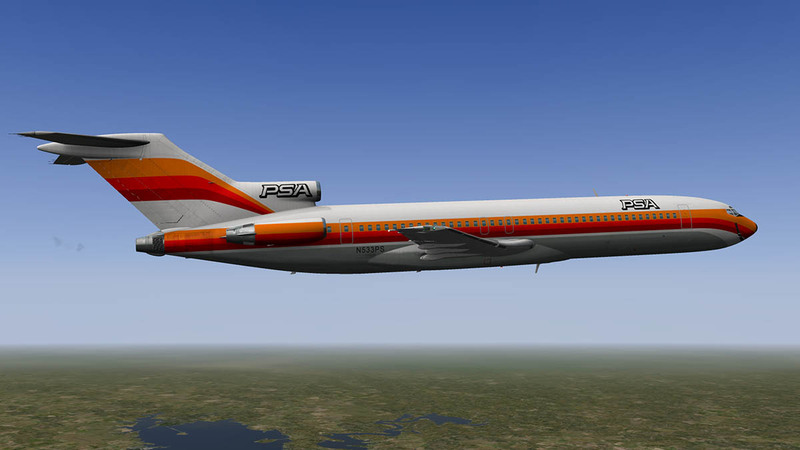 Nicknamed "CIVA") US$10 and liveries can be bought in packs (usually 10 per pack) for US$10 each or all packaged together... 727-100 - 19 Paints : 727-200adv - 31 Paints : 727-F - 4 Paints, as one pack for US19.95 which is great value. The quality and variety of the liveries are certainly well worth the outlay. There are not a lot of liveries on the .Org site... But one I really like is the Delta by ppt. 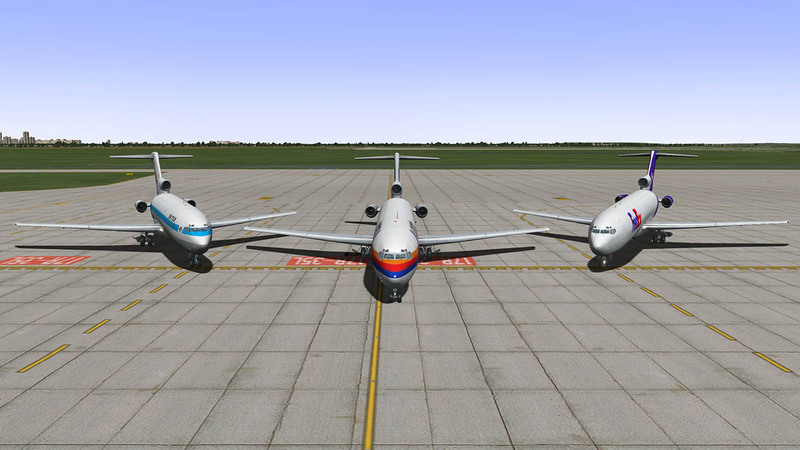 Download is 761mb ( all 3 versions) or 313mb (per single version), with all added liveries your aircraft folder could bulge over 2gbs. 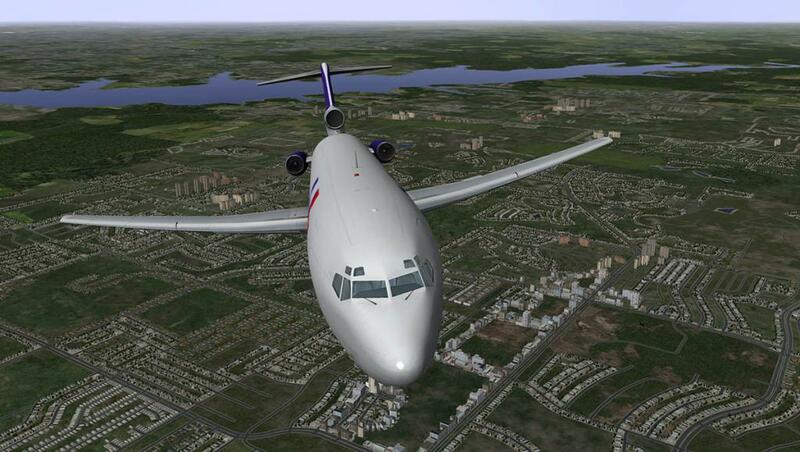 Just drop into your aircraft folder. 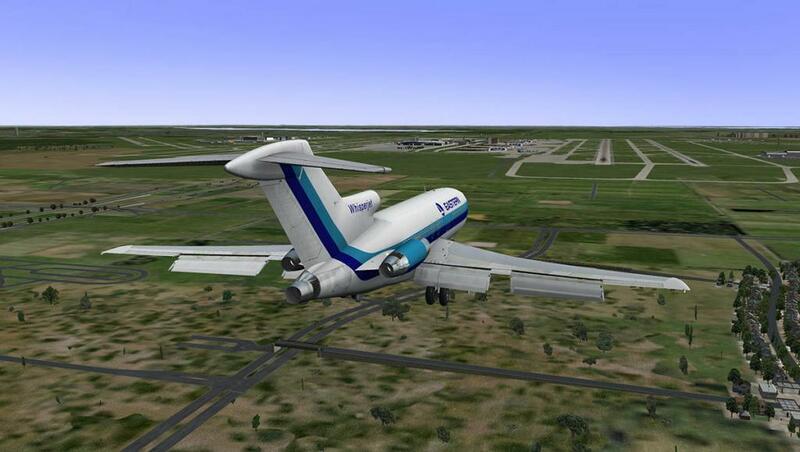 The Boeing 727 Series was an aircraft on which that was built our modern domestic airline industry of today. Yes there was the those wonderful 50's icons in radial and turboprop aircraft. 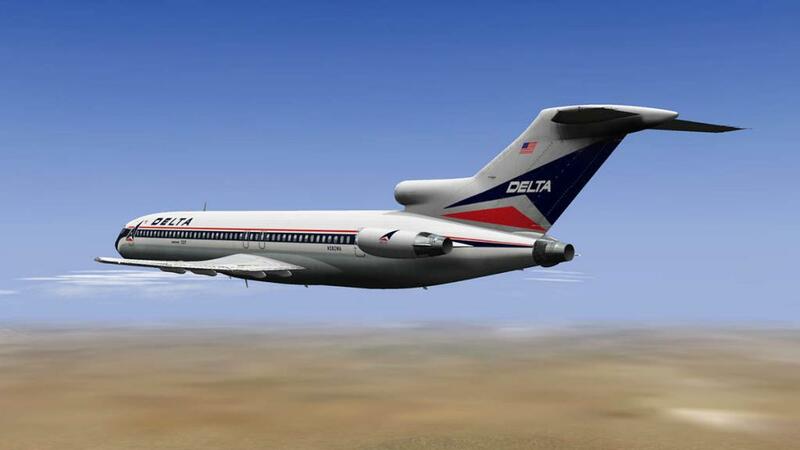 But the Boeing 727 created a whole new dimension in flying in that anyone could fly and fly cheaply and not just the well-off or rich patronage. 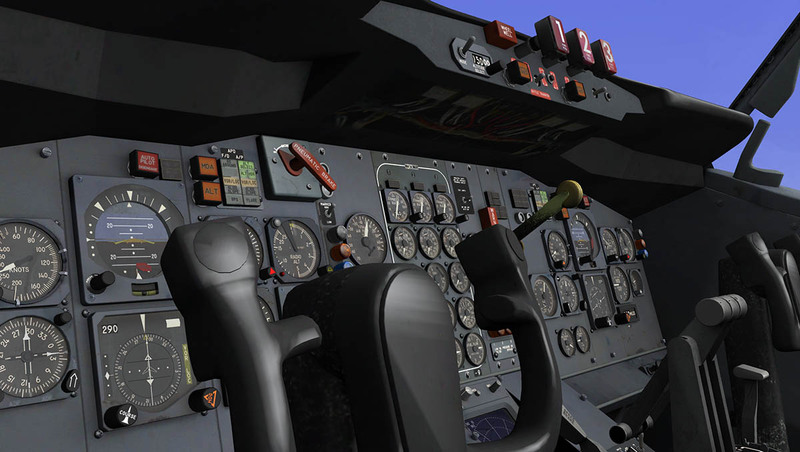 For the Pilot the Boeing 727 Series from FlyJSim is exceptional. It is an aircraft from a totally different era. But that is also its main attraction. In modeling and systems it is totally as good as you are going to get. 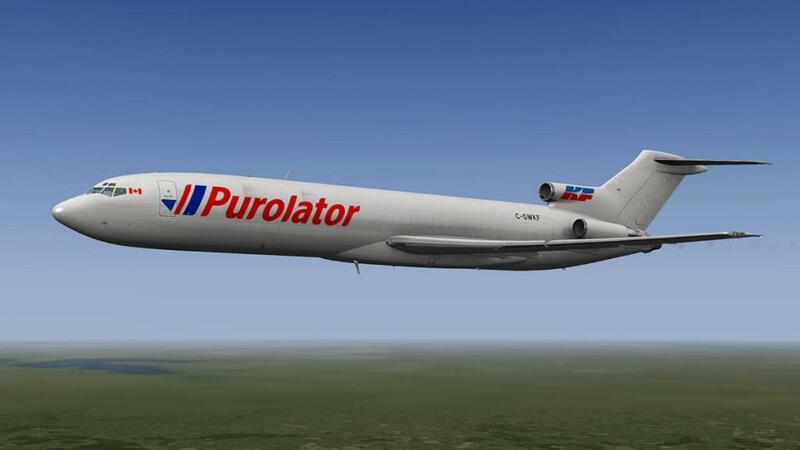 Any pilot that is serious about their simulation should have this aircraft in their collection. And over the period of time since its release it does not show any age or issues with its development. 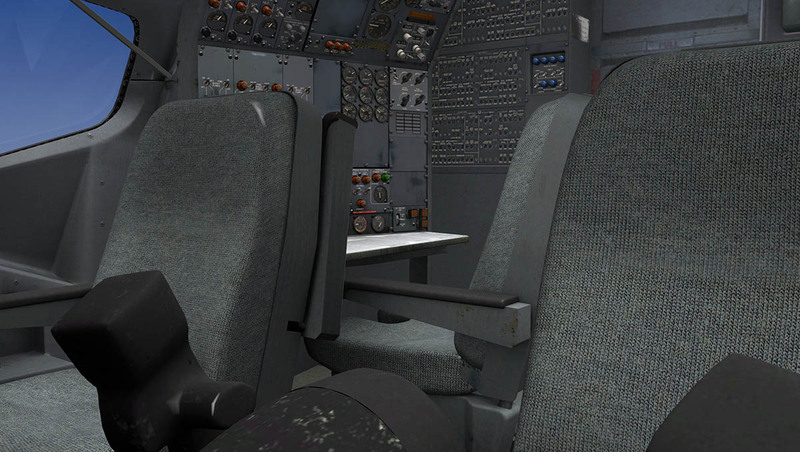 For quality from FlyJSim the B727 Series is about as good as you are going to get. Besides working on your writing skills, you might also correct the typographical error in which Pacific Southwest Airlines became "PAS". A little proofreading goes a long way. Other than that, it's a decent review. Talking about the comment above, i consider it unecessary and completely irrelevant. The review itself is pretty good and informative. Quite helpfull in the decision make about wheter buying it or not. What an incredible history... especially the retractable tail skid. Desperate times call for desperate measures I guess! And how Boeing dealt with 3 major airliners at once... satisfying them all, just amazing. 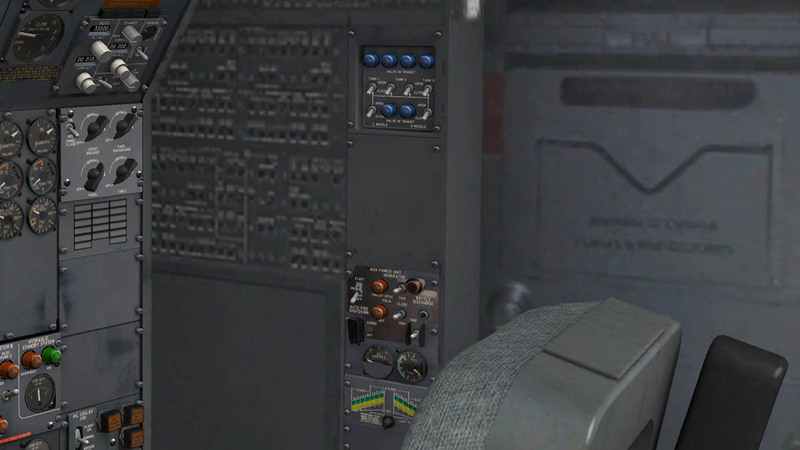 Sorry no, the B727 Series is available in X-Plane10 only. 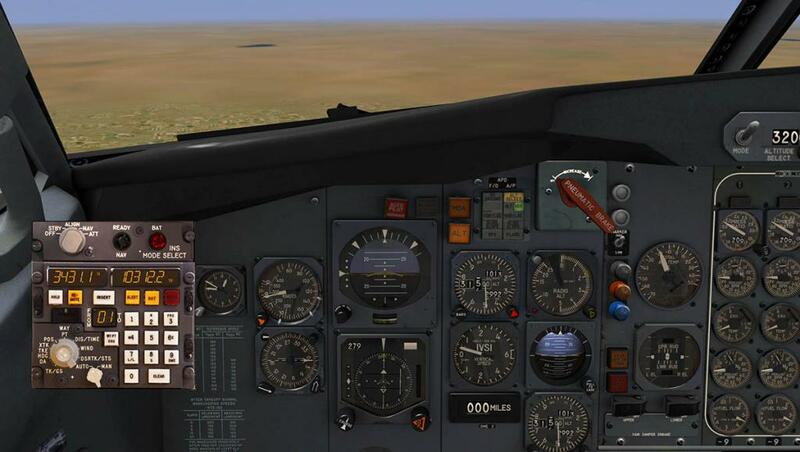 That is because of the special features like the lighting require the latest X-Plane version. When I load a flight plan with 9 waypoints CIVA everything seem fine on headings other than plane yawing side to side on path. Has union else had this issue?